Our philosophy is to deliver restaurant-style experiences and create the right menu for each event attendee. Our goal is to create incredible events that push the envelope with unmatched culinary excellence that always exceed expectations. We believe that producing everything in-house is the best way to streamline delivery, maintain consistently high standards, and produce a memorable culinary experience that’s comparable to fine restaurant dining. Our kitchen is a state-of-the-art laboratory of culinary creativity. Chef’s Garden, right on our rooftop! On our South Building’s roof, you can find our Chef’s Garden, complete with a garden and six beehives that produce delicious honey each year for our culinary team and help support the preservation of essential pollinators in our city. Last year, our rooftop bees produced a total of 800 jars or raw, local honey. Stagionello protein cabinets give us the ability to produce rapid acidification salami and whole cured cuts such as bresaola, cappicollas, prosciuttos and pancetta by maintaining the traditional classic methods of charcuterie in a state-of-the-art environment that is safe and secure. These cabinets are also used while curing and smoking our own salmon products. Executive Chef Duff received his Masters Certificate in making Italian salami. 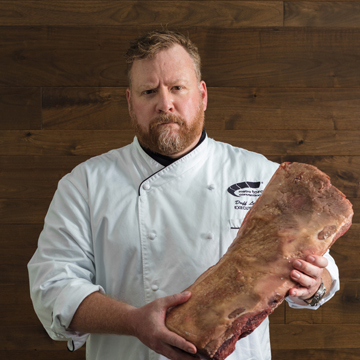 The culinary team spearheads a dry meat aging program that can serve aged local Ontario beef to up to 3,500 guests. 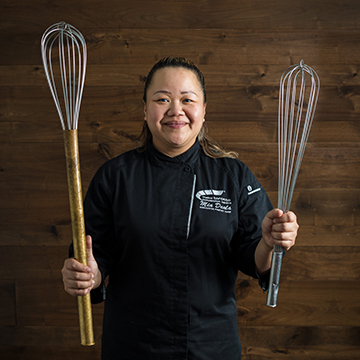 We operate a full in-house pastry shop, led by Executive Pastry Chef Mia De Ala, that allows us to truly customize our production and create specialized menu items to fit each event’s needs. As Vice President of the Food and Beverage Service at the Metro Toronto Convention Centre, Richard oversees a staff of 600. In his twelve years at the Centre, he has orchestrated the food and beverage for thousands of events, and upheld the highest standards of hospitality for guests including Barack Obama. His production kitchen prepares nearly a million meals a year, and is a state-of-the-art laboratory of culinary creativity. With over 20 years of experience in some of the most reputable hotels across Canada, Chef Duff has been highly acknowledged in the culinary world with his talent for innovative menu design and by successfully leading fine dining productions. 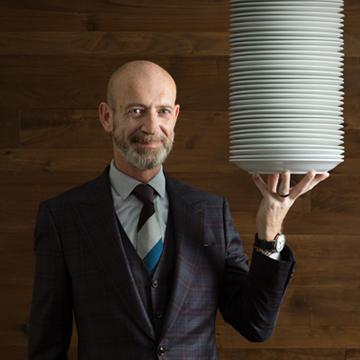 In 2014, he moved to the helm in the kitchen at the Metro Toronto Convention Centre and created upscale, restaurant quality menus not typical of the North American convention scene. As Executive Chef, he embraces his passion for global cuisine, local ingredients, and classic cooking methods.